With the ever-growing influence of millennials on the hotel industry, luxury hotel groups have started to consider them as the future's most affluent customer segment. Unattractiveness is a real issue since millennials will be the largest segment of customers in the next few years. If traditional luxury hotels fail to attract millennials today, they will not be able to do so tomorrow – and this will clearly reflect in their future results. In the eyes of millennials, innovative solutions for traditional luxury hotels would include, for example, an ephemeral food and beverage concept or renovations to make the hotel and its operations more sustainable. Being perceived as “old-fashioned” is a real no-no for the majority of millennials interviewed, who overwhelmingly define themselves as a generation of trendsetters/followers. Our study highlights that traditional luxury hotels have not always assessed millennials’ needs correctly. Providing mostly standardised practices oftentimes disguised in “personal experiences” does not seem to be the right strategy. How can something be both standardised and personal? Younger travellers want unique and customised experiences, even if it is to fulfil a hedonistic desire – share experiences on social media. Sharing is the most powerful way of communicating their emotions and peer review has never been as important as right now for these customers – hence the importance of social media. This study has also revealed that most traditional luxury hotels fail to capitalise on the potential of these means of communication and view them as an obligation rather than an opportunity. • Human capital: Truly investing in the latest human resource strategies pays off. These hotels develop work systems that stress friendliness, accessibility and availability instead of distant formality. The goal is to allow employees to spend more time engaging with guests and providing personalised services. • Organisational design: The goal is to put in place ‘boundaryless’ hotels - a unique design that embraces the local culture - that foster interaction between young travellers and locals. Fuzzy boundaries between the hotel and the local community delve the hotel into a public space where exclusive events and activities related to the local culture take place and where trendy, local food and beverage concepts and pop-up concepts can emerge. • Unique service: Innovative technological and organisational innovations are in place with the goal of drifting away from SOPs. Instead, service revolves around ultra-personalisation with an offer of a wide variety of exclusive, non-standard, local products, refined goods and services that show true taste and respect. ...there is a risk for luxury hotels to “miss the train” should they choose to maintain their traditional style of operation while millennials are reframing the whole definition of luxury and have specific needs that most luxury hotels are still ill-prepared to meet. Our study suggests that millennials are less likely to buy a standard luxury service than an everlasting experience. 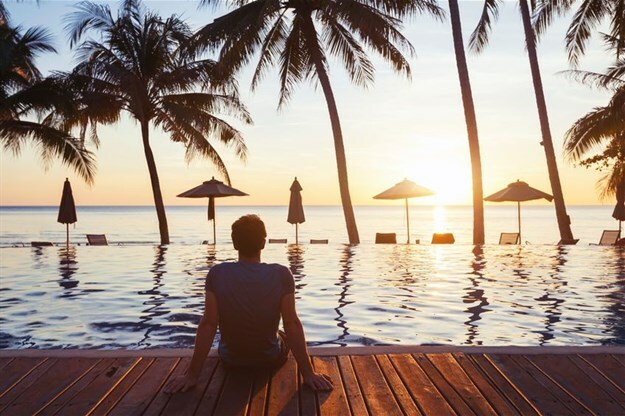 Luxury clearly has not lost its lustre with younger affluent travellers, but traditional luxury brands are, in fact, considered less desirable than distinctive luxury hotels. With increasing competition between luxury hotels, attracting millennials through innovation and genuinely desirable experiences could open the door to differentiation and better guest retention. The fundamental argument that lies at the base of this discussion is that there is a risk for luxury hotels to “miss the train” should they choose to maintain their traditional style of operation while millennials are reframing the whole definition of luxury and have specific needs that most luxury hotels are still ill-prepared to meet. How can they overcome this situation? By generating more, better and faster innovation. Indeed, by investing financial, organisational and human resources in smart and selected innovations, hotels will pave the way to establishing a loyal customer relationship between themselves and millennials.